When we donate our resources to a worthy cause, mefarshim (commentators) explain, we take far more than we give. Suppose someone purchases shares in worthwhile stock. To the uninformed observer, it seems he has been swindled big time. He has spent thousands of dollars, and all he got in return was some fancy certificate. Those who know realize that owning stock in a thriving enterprise can be a very gratifying experience – and it has nothing to do with the certificate. Through that initial investment, he has become a partner in a corporation. As the corporation grows, its share value rises. It may, periodically, pay dividends. What to the untrained eye may at first have seemed like a hoax, now reveals itself as a very wise and well thought out investment. When we donate, we give what we can – sometimes we give money, and sometimes we give in other ways. To the uninformed – giving may come difficultly. At best, we may receive a “certificate” – a tax- deductible receipt – for our efforts. It is hard to willingly give away what one has earned. But when we give, we become part of the process – we become “partners” in the cause to which we give. We are now “shareholders;” any “dividends” from that cause – such as the merit of Torah study (when we support yeshivos), the prayer of the battei k’neisios we help build, or even the zechus (merit) of raising a family when we give to the poor – accrue to us. Some companies pay dividends up front – and sometimes we begin to reap the benefits of our charity immediately. Other companies pay nothing out, letting the profits accumulate, and share values rise. Sometimes, too, the merit of our charity is put away for us, either for a time when we really need it, or, even better, it is saved for us for a time when the “payback” is far more substantial. One thing is for sure; well chosen “stocks” are a very lucrative investment. Oh, and the more we give, the greater our share, and the more valuable our investment becomes! Sometimes when we give, we can’t help but feel magnanimous, especially if gracious thanks and blessings are heaped upon us by the recipient. At times, we resent the seemingly endless needs of others less fortunate. This is why the Torah stresses “Let them *take* for Me a portion,” for by giving we take far more than we give. Ba’al HaTurim writes that the word “terumah” is made up of the letters “Torah mem”, an allusion to the Torah which was given (to Moshe) over a period of 40 days (the numerical value of the letter “mem” is 40). What is the connection of terumah to Torah? Just like by giving we acquire “shares” in the mitzvos done through our largesse, when we study Torah, we are acquiring our share in the Torah. Every day we pray, “Grant us our share in the Torah.” There are 600,000 letters in the Torah (Talmud), and there are 600,000 neshamos (souls) in the Jewish nation. 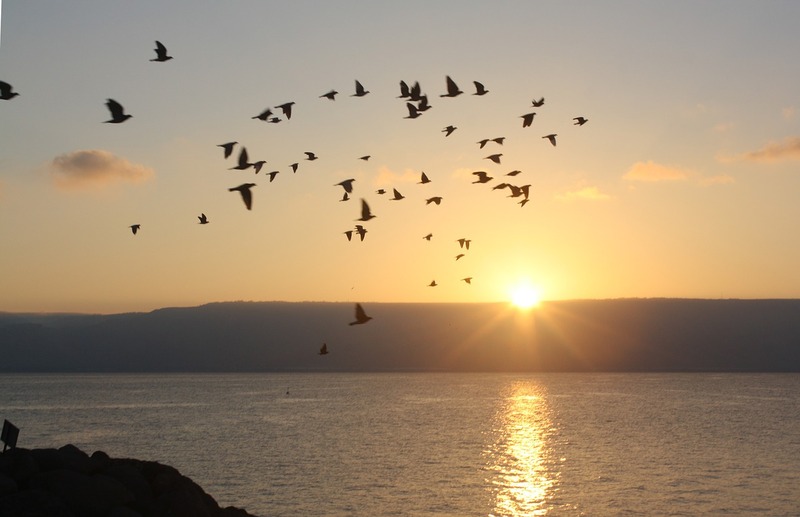 Our task in life is to “find” our place in the Torah – to connect to Hashem and our souls through the Torah. This can only be accomplished through diligent Torah study. Now when donating, it is obvious that the more we donate, the greater our share in the mitzvah. Everyone realizes that the person who builds a yeshiva has a far greater part of the mitzvah than the one who only gives a chair or a table. (Which is not, G-d forbid, to belittle any donation! After all, dividends are paid out both to the major shareholders and to the minor ones – and nobody sends their cheque back.) Yet with regard to Torah study, says the Beis Yisrael, such differences are far less apparent. Two people attend a shiur; they come at the same time, and leave at the same time. They both listened, neither fell asleep, so, more or less, they each have an equal share in the Torah – even if one put a little more effort into understanding than the other – no? Not necessarily. Just like one’s share in a charitable cause is according to what he gives, the Torah too makes its mark on our neshamos according to what we put into its study. Although this isn’t always obvious, the level of dedication and diligence with which we approach our studies has a tremendous impact on the degree to which the Torah can subsequently change our lives. While the two may have studied the same Gemara, and may even understand it equally well, the “investments” they have made may be very different. One who truly expends all his energies in his Torah study has planted seeds which will one day bear plentiful fruits – the dividends of his investment. One who takes it easy, while he may “know his stuff,” will not reap the benefits of Torah study, such as character refinement and closeness to Hashem, to the same degree. Of course nowadays, people no longer “invest” in stocks; they day- trade, hoping to make away with quick profits using only a minimal investment. While I don’t profess to be market savvy, this much I can say: Investing in Torah is strictly long-term, and there are no windfalls and no get-rich-quick schemes. But the market never crashes, and the Torah doesn’t go bankrupt. Every hour invested will pay its dividends. We all know the 40 days to which the Ba’al HaTurim refers; they were spent completely immersed in Torah study, “I did not eat bread, nor did I drink water. (Devarim 9:9)” It is in this respect – that the Torah benefits us to the extent that we dedicate ourselves to it – that Torah and terumah are related. Profitable investing! This week’s publication has been sponsored by Mr. Tom Deutsch in memory of his father, R’ Yekusiel Yehudah ben R’ Shimon z”l.